Riley, Josh, and Alishia joined me to revisit a film we all remembered fondly, but none had seen in awhile. We can all tell you the movie is still worth watching almost 20 years later, and there was obviously plenty to talk about since we recorded our longest episode yet! We continue our exploration of the struggle between illusion and reality, and what this film in particular brings to the conversation. We discuss what the goal of unplugging from the matrix is. Also, is the illusion is always bad, or can it be used to accomplish certain needs better than reality? 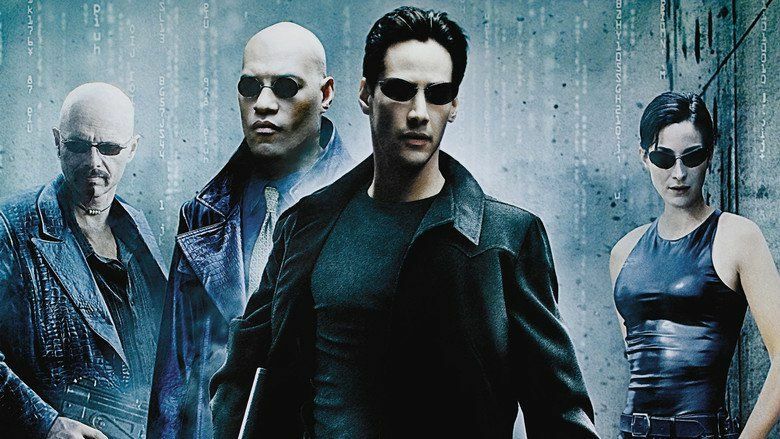 At its heart, The Matrix is a movie about free will, which is to say, about choice. That’s best symbolized when Morpheus offers Neo a choice between the red pill and the blue pill, with red representing truth and freedom, and blue signifying illusion and denial. However, as the traitorous Cypher will later point out, this isn’t really an informed choice, because Morpheus doesn’t provide sufficient information. Odds are, Neo would still opt for the harsh conditions of the real world rather than knowingly remain within an imaginary construct, but some people, like Cypher, surely would prefer fake comparative luxury to a machine-ruled dystopia. We like our movies to be escapist fantasies, but we also like to pretend that they have a semblance of realism — that they are on some level plausible. We don’t generally like it when ordinary people fly through the air with guns or make impossible jumps. But in The Matrix, all these actions are happening in a virtual world — a world that, while it mostly adheres to the contours and rules of reality, can be hacked. And so, when characters walk on walls and dive laterally from one building to another, it’s a sign not of their physical strength, but of their ability to cheat the rules of the real. The movie establishes a framework in which the impossible can happen. The film’s dime-store philosophy also captures a genuine unease, one that maybe came of age with the wired generation of its time but still persists. It’s a sense that this world — our world, the one in which I’m writing this article and you’re reading it — is not real. It’s an attitude that ... in its most common, hopeful version simply expresses a healthy rebellion against the increasingly unreal nature of modern life.